Firstly we would like to wish all our customers, past and present, a Happy New Year. Two new products from Rega, the Elex-R amplifier and of course their new flagship turntable, the RP10. Naim Audio introduced their first ever all-in-one music player, the mu-so, by far the best sounding product of its type and already a big success. They have also now added Spotify Connect on all their network players and Uniti products which also now feature Bluetooth connectivity. Chord Electronics Hugo has been a true ‘game changer’, a remarkable product which has been applauded the world over. Now available in black. Chord Hugo, now also available in silver. Neat Accoustics loudspeakers, especially the Motive range, has proven to be one of our best sellers last year, a perfect complement to our amplifier range. The Well Tempered Versalex turntable. A truly awesome product thanks to its fresh design and engineering. So, what can one expect from us in 2015? Well, firstly we are delighted to announce the introduction to our loudspeaker portfolio of Shahinian Loudspeakers from the USA. 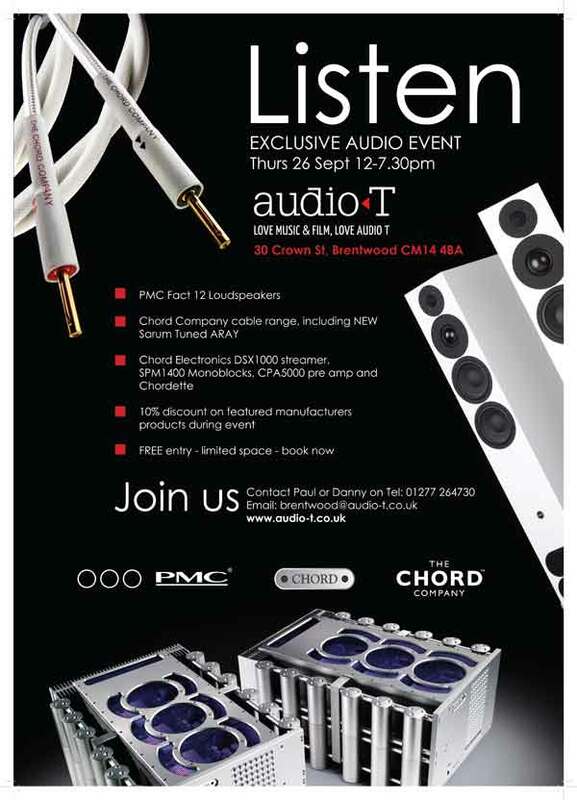 These highly exclusive speakers offer a somewhat different perspective from the norm that we know many will enjoy. We intend a more detailed blog post soon. There are a few other significant announcement coming soon, we’ll keep you posted. Does Qobuz + Chord Electronics' Hugo = Audio Nirvana? This is in essence a two-part review. 2. Qobuz music streaming service. How good is the Qobuz service? and is it better than the competition and worth the premium asked? Can it really replace the need for physical media and downloads? Can the inclusion of the Hugo really offer a true high-end music & HiFi experience? So I took the Hugo home for an extended listen in a known system/room and put up to some extremely strong competition, ie my regular Rega Reference set-up in the form of the Isis CD player (£6175) into the Osiris amplifier (£6175), both known for their incredible resolution and musicality. I used the Qobuz app via an iPhone 4S and an Arcam drDock (£199) linked via a Chord company Prodac digital interconnect (£85). All hooked up to the amp with Chord Company Sarum Tuned Aray interconnects. Isis via balanced and Hugo by RCA. A tough test if ever there was one! After switching the Hugo to line level and making small adjustments to the output level to equal that of the Isis, I listened to a variety of music including LA Woman by the Doors to Amorica by The Black Crowes. From the off, it was quite clear there was very little between them both in terms of sonics and timing, so much so that at times I had forgotten which I was listening too! I wasn’t expecting that, especially from a stream via my iPhone. As the phone is outputting SPDIF the same results should be gained from most other devises with a digital output I assume. Of course the Rega Isis had the distinct advantage of the balanced output so I then compared the Hugo with the Rega both this time using RCAs. This time the Hugo won hands down and as this is more relevant a comparison for most end users, all the more revelatory. Qobuz really does offer CD and better quality. One no longer has to be penalised qualitatively for wishing to stream their music rather than play CDs or their rips. Value? Well at £19.99 per month you have unlimited access to 18 million songs all in 16/44.1 over 12,000 albums of which are in 24/96-192. Including offline ie downloaded to the devise itself. Can it match a true high-end set-up? You bet! But you’ll need a DAC as extraordinary as the Hugo to achieve it. This diminutive box packs a massive punch regardless and has to considered a bargain, oh and it’s a top-notch portable headphone amplifier and by dint of battery power so totally portable. Can this set-up really replace the need for physical media or downloads? Absolutely, yes. However, if like me, you has hundreds or even thousands of CDs then you might question the value of a £20 per month premium, unless of course you or your partner would like to be clear of piles of discs. If however, your music collection is still rather modest but quality aspirations are high, then Qobuz + Hugo is a great combination for sure. 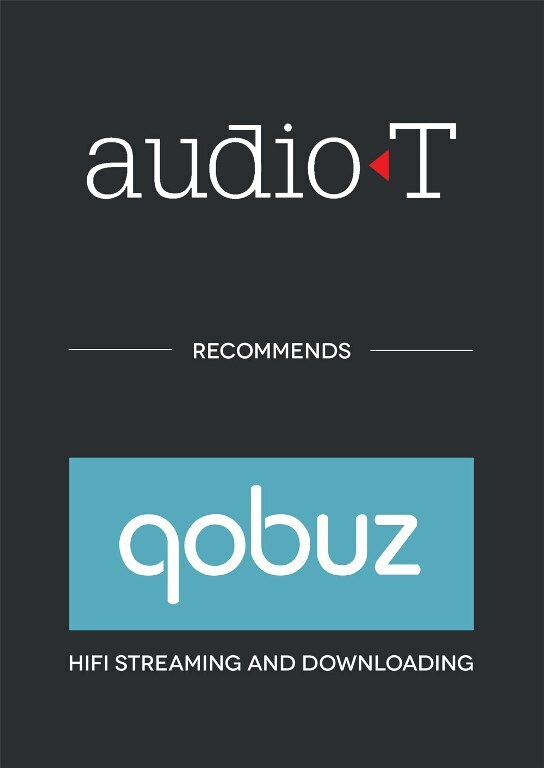 For the month of June 2014, Qobuz, the world’s first true CD quality streaming service, in conjunction with Audio-T, is offering a free, no obligation 2 week trial (no credit card details required unlike their regular trial) Just pop in for the unique access code. Qobuz is compatible with PC, Mac, iOS, Android, Kindle, and Windows and fully integrated with Sonos, Bluesound, Popcorn Hour, XBMC and Sueezebox and new partner to come later this year. If you have heard a DAC 64 then you will know why Chord Electronics want to celebrate the 20th anniversary of what was a ground-breaking product. So to celebrate what they have done is release what is another ground-breaking product the Hugo. This diminutive box that fits into the palm of your hand packs more than a little punch. Don’t be fooled by its size as this it has a number of tricks up its sleeve. It can be used as a standalone DAC, a DAC/headphone amplifier, for use at home or on the move (as it has a built in rechargeable battery) and a DAC pre-amp, for use with a power amp and speakers or active monitors. Chord are famous for their DAC technology and have managed to cram a lot of DAC into what is a small box. Chord say it is their most technically advanced 32bit DAC to date. It can decode sampling frequencies from 44.1kHz to 384kHz and that includes decoding of DXD files. So when it arrived in the shop we set out to test its capabilities. We first of all put it into our main shop system, which consists of Naim amplification and PMC IB2SE speakers. To put it simply we were blown away with the what it delivered. A big open sound with bags of separation and a massive amount of musical enjoyment. Everything we played sounded right and it was noted we found ourselves listening not to the Hugo but to the music. So we agreed that the Hugo was a great DAC but that’s not all the Hugo is. It incorporates a high quality headphone amplifier that’s good enough to drive even the most awkward to drive headphone. It also has an in-built rechargeable battery that will last over 12 hours and is fully charged (by the supplied power supply) in 2 hours. Having a battery makes the Hugo portable and so Hi-Fi on the move is now a reality. Think on the train with a laptop or (get this) your phone. That was what we tried next and I was quite taken aback when the colour of the lights within the Hugo changed to indicate I was playing a high resolution file via usb from my android. I was also taken aback by the sound. I can't remember hearing my Sennheisser HD600 sound so good. Setting it up with my laptop was as simple as downloading the Hugo ASIO drivers. Using the computer with the Hugo was also a pleasure at all file resolutions not just high res. I must also mention another little trick as the Hugo will play wireless via Bluetooth using AptX technology for high quality results. I also tried the Hugo in its third capacity DAC/pre amp. Again the little box didn’t falter. I think you would have to spend a lot more money on a separate pre-amp DAC to reach the same sort of performance levels. I'm going to say it, I want one. Whether you are after a standalone DAC, a DAC/headphone amp or a DAC/pre the Hugo is a must listen so if you want to have a go yourself come to see us in the shop. On a side note, I tried using the Hugo as headphone amp/Dac for the purpose of producing music on a laptop. If you have ever tried mixing with headphones then you will know how difficult it is to get your levels right. A quick mix with the Hugo surprised on playback through a system as all the levels were just as intended. If you make music on the move and don't need to record then the Hugo is definitely worth a go.